Bournemouth University PhD researcher Alice Hall from the Department of Life and Environmental Sciences (SciTech) launched a ‘Hengistbury Head Ecological Enhancement project’ last month (January 2018). 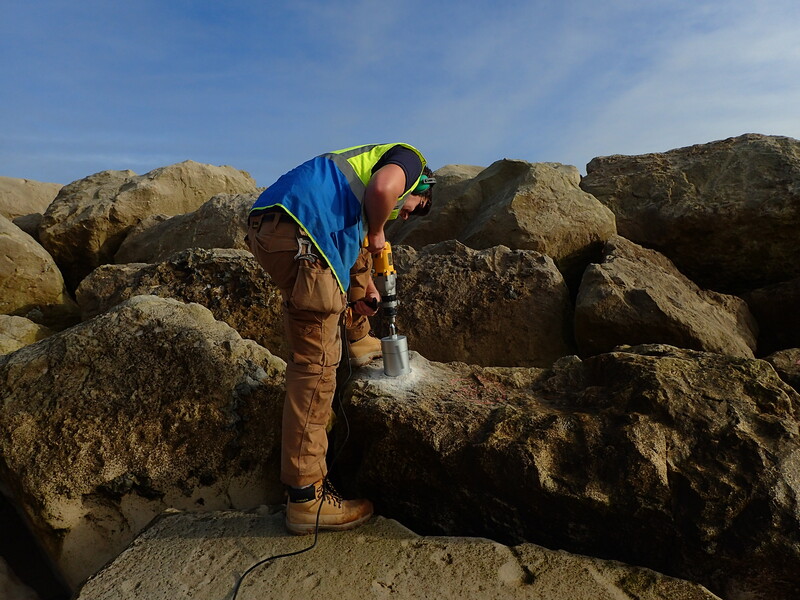 In order to improve the marine life on the groynes at Hengistbury Head, Bournemouth University in connection with Hengistbury Head Visitors centre are creating artificial rockpools on the rock groynes at Hengistbury Head. 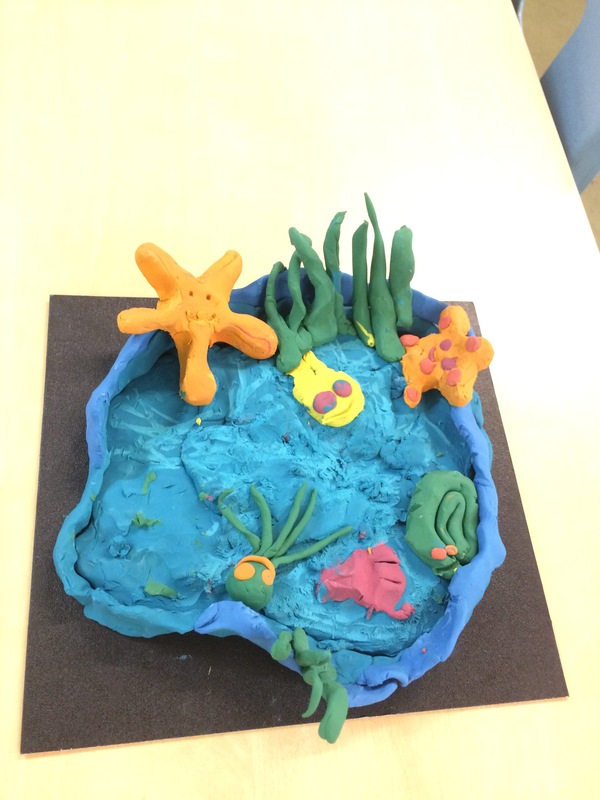 The year 4 school children from St. Katharine’s Primary School, Southbourne have helped design the features which will be used to create the artificial rock pools. 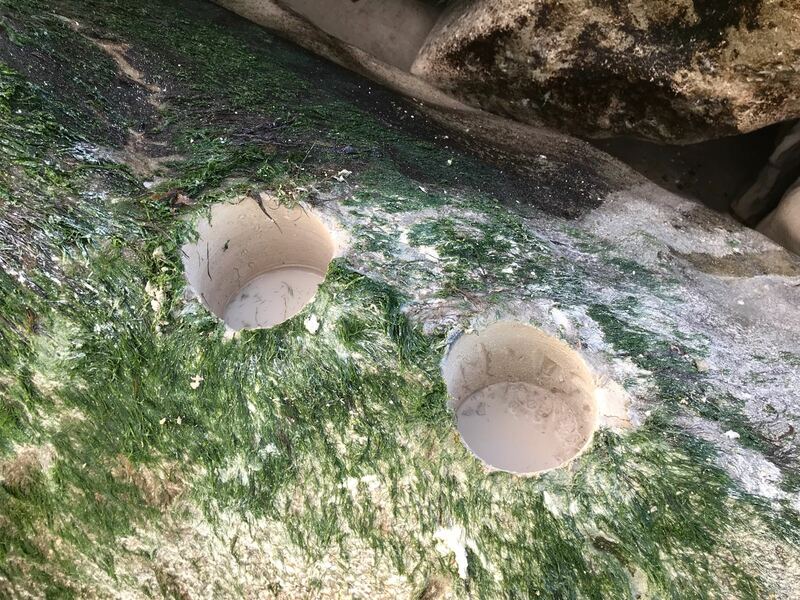 Once the rockpools are installed the general public and school children will have the opportunity to monitor the pools and help us monitor the marine life which comes to live in the pools. To engage people with marine life associated with artificial structures and to increase the frequency of visitor interactions. 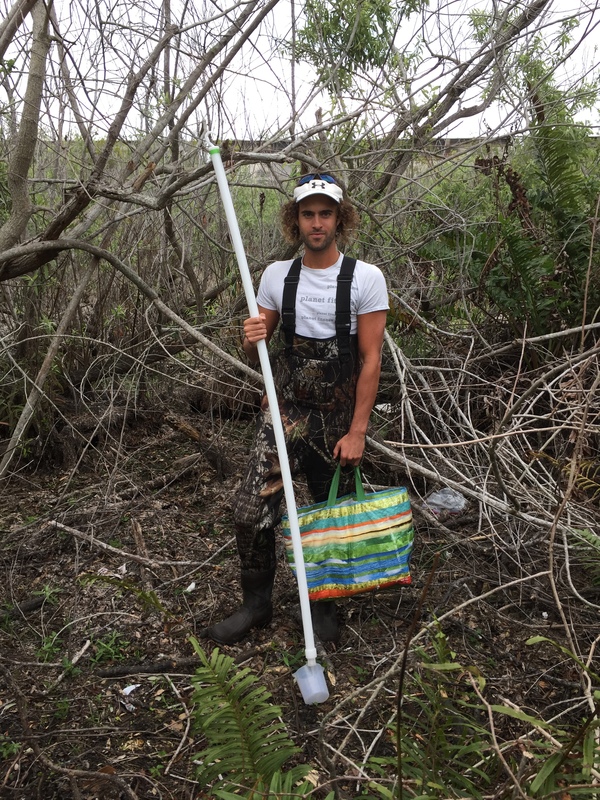 Hunter N. Hines is a Ph.D. student working on microbial ecology, focusing on the biogeography and biodiversity of ciliates, a large and diverse group of single-celled eukaryotic organisms. He is conducting research into ciliate communities found in the tropical aquatic ecosystems present in Florida, USA, such as freshwater ponds. His research to date has included the identification of several novel flagship species; some being first records out of Africa, and/or first records for the Americas. The recent discoveries of ‘flagship’ ciliates in new locations and also several species of ciliates which are perhaps new to science are the current focus of his research which will include intensive sampling leading to detailed ecological and morphological investigations, with molecular work also ongoing. 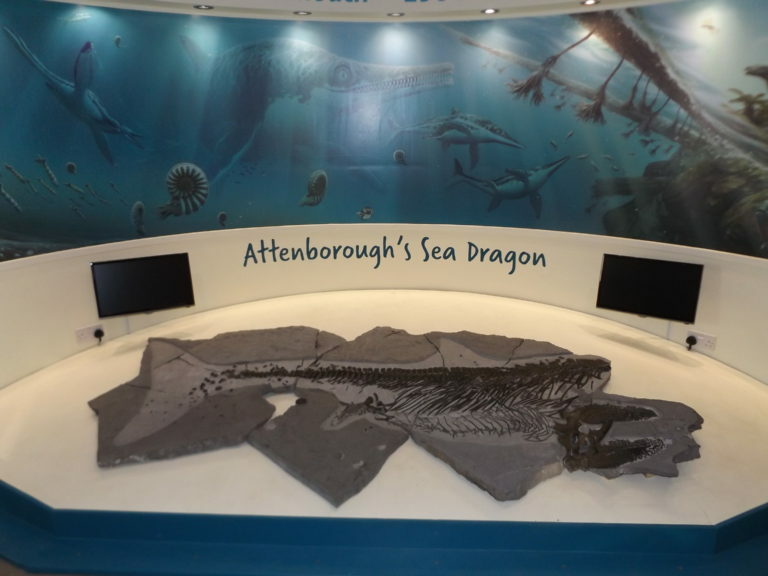 Charmouth Heritage Coast Centre will be opening a new display (14th January 2018) of the incredible ichthyosaur that starred in the BBC documentary ‘Attenborough and the Sea Dragon’. 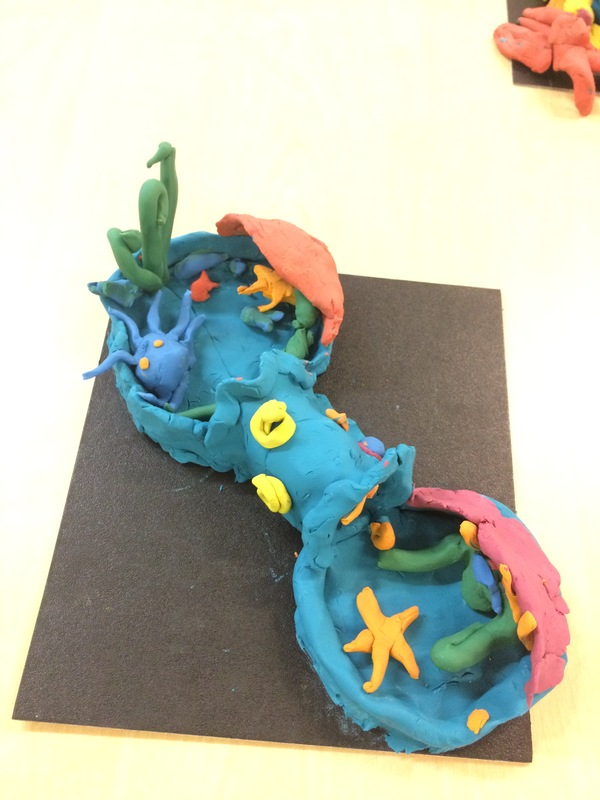 The fossil was discovered by local fossil collector Chris Moore. The centre has free entry and is on the beach at Charmouth, one of the best areas to collect fossils on the Jurassic Coast World Heritage Site. Visit the centre and discover how the pieces of this 200 millions year old murder mystery were pieces together, and take part in guided fossil hunting walks. The British Science Association are currently in the process of launching a new volunteer branch in Bournemouth, and we are looking for enthusiastic, dedicated volunteers to be part of the branch! The New Forest is widely recognised to be of international importance for wildlife. At the same time, the ecosystems of the New Forest provide many benefits to people, including recreation, rearing of livestock, timber production and clean water. This system has always been dynamic, and in many ways it has been resilient to environmental change. But how is the Forest changing at the moment? And how might it change in future, given current concerns about climate change? This conference will explore these issues, by presenting the results of recent research into the ecology and dynamics of the New Forest, focusing both on wildlife and the benefits provided by ecosystems to people, and the impacts of climate change. The afternoon session will include a discussion panel that will reflect on the papers presented, in which attendees are encouraged to participate. If you would like to register for this conference please follow this link. The deadline for registration is the 12th October 2016. 14:40 – 15:00 Dr Chris Short, University of Gloucestershire: “Climate change and resilience: a collective problem solving approach”. The Woodland Trust has delivered trees to be planted in a variety of locations – from schools to golf clubs to parks – as part of their free tree scheme this year. More than 4,000 have already been given away in Dorset. Dorset has tree cover of just 11.66 per cent compared to the national average of 13 per cent. Woodland Trust tree packs have been funded by lead partners Sainsbury’s, Ikea Family, players of People’s Postcode Lottery and Yorkshire Tea.These trees will also contribute towards the Woodland Trust’s First World War Centenary Woods Project. The increasing presence of non-native marine organisms is usually perceived as a threat to biosecurity and the conservation and protection of native species and habitats. With rising temperatures, and ever-widening global trade and communications, the frequency of introductions and establishment is unlikely to decline. The control of invasive species in open marine systems poses considerable challenges. Yet for a few species, such as Manila clams and Pacific oysters, fisheries might both contribute to management solutions and benefit the economy of coastal regions. Wild capture fisheries can also cause severe disturbances to marine ecosystems. Therefore if fisheries are to be supported in this management role, operations must be carefully considered and evaluated. What can we learn from the history of invasion of marine non-native species of economic value? What are the threats and opportunities from the ‘invasion’ of potentially valuable marine non-native species? How can we mitigate potential ecological damage through sustainable harvesting? Organised by: Bournemouth University and Dorset Wildlife Trust. In recent years, rewilding has become a major theme in conservation, stimulated by publications such as George Monbiot’s Feral and the launch of rewilding organisations both in the UK and at the European scale. While a number of rewilding initiatives have been launched in the UK, most of these are predominantly located in upland areas in the north and west of the country. Elsewhere in Europe, many rewilding initiatives are seeking to encourage ecological recovery on agricultural land that has been abandoned. This raises the question of whether rewilding concepts are applicable to intensive agricultural landscapes such as Dorset, and if so, how they might best be implemented. The aim of this meeting is to examine concept of rewilding: how it is defined, which approaches can be used, and whether such concepts and approaches might be relevant to Dorset. We are delighted to be able to welcome a number of speakers who will present at the meeting, including leading researchers with expertise in rewilding, and practitioners with experience in implementing rewilding projects. The meeting will also involve representatives from a number of conservation organisations in Dorset, who will be invited to share their perspectives on rewilding. We hope to provide an opportunity to learn about what rewilding entails and to examine its strengths and weaknesses as a concept, and also to discuss its potential application in Dorset. It is essential you book a ticket if you wish to attend, please visit: rewilding-dorset.eventbrite.co.uk.